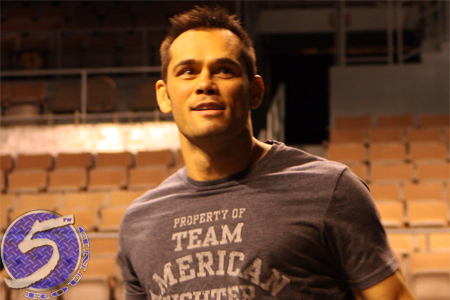 On Wednesday, Rich Franklin (Pictured) underwent successful shoulder surgery in Cincinnati, Ohio to repair his torn labrum. Franklin’s manager, JT Stewart, announced “Ace” is expected to make a full recovery, but will require several months of rehabilitation before returning to action. The 37-year-old initially injured his shoulder during grappling practice last month. Franklin was last seen dropping a unanimous decision loss to Forrest Griffin at UFC 126 this past February. He was scheduled to co-main event UFC 133 opposite Antonio Rogerio Nogueira in August, but the fight was pulled from the card when Nogueira was stung by the injury bug. The former high school math teacher holds a 28-6 (1 NC) professional mixed martial arts record.